Sungkyunkwan University, known simply as Seongdae or SKKU, is a Korean university with two separate campuses: these are located in the cities of Suwon and Seoul. The Sungkyunkwan University ranking is number 32 in Asia in the University Review List. Similarly ranked colleges include City University of Hong Kong, National Tsing Hua University, Korea University, and Kobe University. Other South Korean universities include Seoul National University, KAIST, Pohang University of Science and Technology, Yonsei University and Kyungpook National University. The one in Myeongnyun Dong, Jongnu-gu, Seoul is the Humanities and Social Sciences Campus while the one in Cheoncheon Dong, Jangan Gu, Suwon is the Natural Sciences Campus. The term “Sungkyunkwan,” literally means “an institution for building a harmonious society of perfected human beings”. Sungkyunkwan, or Seonggyungwan, was founded in 1398 as a venue for offering prayers and memorials to the philosopher Confucius and his disciples, as well as a venue for studying the Confucian Canon. Under the education system of the Joseon Dynasty, Sungkyunkwan became Korea’s leading institution of higher learning. With the establishment of the Republic of Korea and the end of the Japanese occupation, Sungkyunkwan, without the Joseon Dynasty’s sanction, was reincorporated into a private institution. It has continuously adapted to the changes that have occurred in Korea and, as a result, has again become a leading institute of learning in the country. The Humanities and Social Sciences Campus in Seoul is located within the city walls of Joseon, Korea’s original capital. It is scattered on a hill overlooking the Jongmyo Royal Shrine, a UNESCO-designated World Cultural Heritage Site. 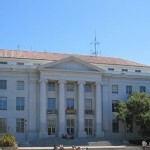 The campus currently has six schools and three colleges as well as several graduate schools. The Natural Sciences Campus in Suwon was founded in 1978. It is located 45Km away from the capital city. Suwon is among the cities preserving the Joseon era’s traditional beauty, but is now also known as a centre for education, economic research, and business. The campus houses five schools, two colleges, and a number of graduate schools. Two of the widely-known divisions of SKKU are the Kungkyunkwan Advanced Institute of Nano Technology (SAINT) and the Sungkyun Language Institute (SLI). SAINT opened in 2005 and has since aimed to become one of the best nanotechnotogy-related institutes in the world. The SLI is semi-independent from the University. 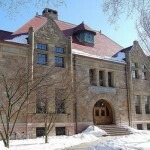 It offers courses in English, Mandarin, Japanese, and Korean. Sungkyunkwan University has students and graduates from all over the world. They have a strong exchange program which allows students to study in other countries. The Humanities and Social Sciences Campus can be found in the address 53 Myeongyun-Dong 3-Ga, Jongnu-gu, Seoul, 110-745, South Korea. 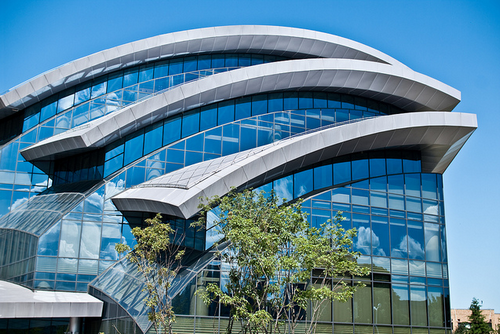 Whilst the Natural Sciences Campus can be found in 300 Cheoncheon-Dong, Jangan-gu, Suwon, Geyonggi-do 440-746, South Korea. Sungkyunkwan University; Photograph by SnippyHolloW; Asian College List.